Don't waste time waiting in queues  take a Louvre Museum prioritized guided tour. Make a booking and jump the queue to make the most of your limited time inside the world's largest museum. After your guided tour, you can stay on if you want to and continue exploring the Louvre Museum at your leisure. Begin with the Ancient Greek Parthenon; then gaze at the graceful Venus de Milo. Admire one of the Louvre's most celebrated sculptures, Winged Victory of Samothrace. Continue on to the Apollo Gallery that houses the ornate royal crowns of Napoleon and King Louis XV. Marvel at influential pieces such as Canova's Psyche and Cupid and Delacroix's famous painting depicting the sentiment of the French Revolution, Liberty Leading the People. Michelangelos masterpieces await you in the Italian Renaissance wing, and you will discover firsthand what makes Leonardo da Vinci's Mona Lisa the most enigmatic portrait of all time. The Louvre hosts over 35,000 pieces of artwork spanning over 60,000 square meters of exhibition space. This skip-the-line, small-group tour will lead you comfortably through the galleries so you can explore all of the masterpieces without the hassle of waiting in long lines. Do you want to see the Louvre at night? Select the 6:30pm tour (on Wednesdays or Fridays) to take the guided tour in the evening  an opportunity available for a strictly limited season. There is a certain magic about visiting the Louvre in the evening. The corridors are quiet, the artwork is mysterious in low light and the atmosphere is more relaxed. The museums exterior is also breathtaking. Lit from below, the old palace appears contemporary, the dazzling Louvre pyramid reflecting in the pond and lending it an air of glamour. Apart from the late starting time, this evening tour is exactly the same as the other half-day tours. By the time the visit is over, it will be dark out and you can see the Louvre and Pyramid lit up. Special Offer - Book by March 4th 2018 and travel by March 24th 2018 to save 15% off our previously offered price! - Book Now! The Louvre's Grand Gallery contains an extensive collection of masterworks by celebrated Italian artists da Vinci, Raphael, Caravaggio, and more. On this three-hour Louvre Italian Masters tour, one of our many Paris art tours, we will encounter both famous and overlooked pieces by these artists, seeking to understand the intricacies and reveal the progression of Italian art from the Early to the High Renaissance, and through the early stages of the Baroque and Mannerist movements. Delving into the Louvre's offerings, we will discuss the impact of Italian work on Western Art as a whole, focusing on the collections in the museum's Denon Wing. Take in the Louvre’s most significant Italian masterpieces like da Vinci's Mona Lisa. Small group size—maximum six people on a walk. Louvre Italian Masters tour led by an art historian or Louvre curator. Gathering near the Louvre, we will begin by discussing our approach to the collection. Though we will proceed in a chronological manner, we will view the collection through the lens of our docent's background and your own points of interest. Entering the Louvre, we will make our way through the Antique sculpture galleries, stopping to note pieces like the Winged Victory and getting a sense of the kinds of ancient works Italian Renaissance artists were studying and being inspired by. We may use this as an opportunity to briefly discuss the Renaissance idealization of ancient art before continuing into the Italian wing. For first timers or those interested in a more general look at the museum, we recommend our Crash Course Louvre Tour. Once in the Italian galleries, we will begin with works of the early masters, including Giotto, Paolo Ucello, and Fra Angelico. As we stroll through the Grand Gallery, past many of the most important masterpieces of Western art, we will begin to understand the aesthetic evolution of the Italian Renaissance, not only as a linear movement, but also as a geographical and cultural phenomenon, growing as regional schools cropped up throughout Italy, eventually spreading to the rest of Europe. Continuing on to the masters of the High Renaissance—including Leonardo da Vinci, Raphael, Michelangelo, Titian, and Veronese—we will discuss the groundbreaking innovations of artists whose work influenced generations to come. Finally, our walk will conclude with a look at some key Mannerist works, as well as the revolutionary contributions of the early Baroque painter Caravaggio and his Bolognese contemporaries of the Counter Reformation. "[Our docent was] a wonderful guide, both very friendly and knowledgeable about the Italian Masters and their works in the Louvre. We enjoyed the tour and walked away feeling like we learned more about the Italian masters, the Louvre itself, and saw the important works in the collection at the Louvre. We would highly recommend this tour to friends and family interested in the Italian masters at the Louvre." As our walk comes to a close, we will reflect upon the progression of Italian art from the sculptures viewed at the beginning of our time together, to the Renaissance and Baroque works in the Grand Gallery. Through our discussion of these paintings, we will leave with an understanding of the themes and forces at work within these pieces, as well as an appreciation for their details. After opening a dialogue on the Italian Masters, you may be interested in continuing to explore the Louvre with our Louvre Antiquities Tour, Louvre Dutch and Flemish Masters Tour, or Louvre French Masters Tour. We pre-purchase Louvre tickets for any visitors over 18, which allow you to skip the long ticket lines at the museum. These will be added to your cart when you check out, unless you remove them when booking. Your docent will have these with him/her on the day of the walk. Please let us know if anyone in your party has a Paris Museum Pass and we will adjust your order accordingly. If you notify us after we've charged your order that you're purchasing Museum Passes and won't need us to supply tickets, we will only be able to refund you 85% of the ticket price. Discover the worlds largest collection of contemporary art on a 2-hour tour of the Pompidou Centre in central Paris. Skip the long lines to navigate the diverse styles and expressions of artists such as Pollock, Picasso, Dix, Duchamp, and more. Discover a treasure chest of modern and contemporary art at the Centre Pompidou in Paris, and experience the citys 3rd most important gallery after the Louvre and Orsay Museum. Start with an explanation of the building, itself a piece of avant-garde art. Then, skip the long lines, and follow your guide through the chronological and thematically arranged complex. Marvel at art from the early 20th century to the present day, learning about abstract art and how to place it in its proper context to appreciate it more. Also learn about contemporary art, a feat that can be challenging without an expert, understanding and accessible guide. While the Louvre was once an imposing medieval fortress, and later the lavish palace of the French Kings, today it serves France as the treasury of some of the world's most fascinating and notable works of art. However, the extensiveness of the collection has a downside—the Louvre is simply too big to take in on one visit. Attempts to traverse the many galleries, styles, and eras on display often lead to frustration and a more shallow appreciation of the art. Thus, on this Louvre French Masters tour in the company of an art historian, we will delve into the extensive collection of French sculpture and painting, highlighting the gems of French art and culture from the 14th to the 19th centuries. Explore the Louvre’s most significant French masterpieces. Louvre French Masters tour led by an art historian or Louvre curator. Small group size—no more than six people on a walk. Meeting near the Louvre, we'll begin our walk in the Cour Marly, establishing a bit of background for the rest of our itinerary. We will view a number of sculptures by Coustou, Coysevox, and other artists hired by Louis XIV—the Sun King—to create works for his marvelous royal playground in Versailles' Marly Park (for more, see our Baroque Paris Architecture Tour). Arguably one of the most beautiful spots in the museum, the Cour Marly is the perfect jumping-off point for exploring the rest of the Louvre's French collection. Here, we will discuss the development of the Gothic style in France, a movement that is generally acknowledged as the beginning of Western Art in Europe as we know it today. These sculptures—among them, the deservedly famous Marly horses—also provide an opportunity to discuss the role of the monarchy in the beginnings of French art. This relationship was at once prosperous and fraught with frustrations, but royalty nonetheless bankrolled artists and thus became a driving force behind the country's artistic development and innovation. Moving upstairs to the Richelieu wing, we'll start with the 'primitive' 14th- and 15th-century masterworks of Jean le Bon and Quarton, followed by a number of works from the prolific School of Fontainebleau. As we walk past the works of Charles le Brun (Louis XIV's official painter), the Le Nain Brothers, and Georges de la Tour, we'll place each work into the larger context of Western Art, especially considering the paintings' relationship to Italian Renaissance and Baroque art. From here, we'll move into the 17th-century and the advent of French Classicism. While exploring the works of Poussin and Claude Lorrain, the focus of our discussion will be on the historical dialogue between the pieces themselves, keeping in mind the early primitives in order to understand the development of high Classicism. Leaving the 17th-century galleries, we'll pass through the Rubens Hall, taking a look at his scenes from the life of Marie de Medici, works which greatly influenced contemporary French artists. We'll then move forward to the 18th-century, stopping by Watteau's theatrical paintings, Boucher's lascivious mythological works, Chardin's fabulous still lifes, and Fragonard's "fantasy portraits." Moving through the gallery, we'll stop by the works of Marie Antoinette's personal portraitist, Elisabeth-Louise Vigée-Lebrun, then continue on to the better-known works of Ingres and Corot, the "Grandfather of Impressionism." Finally, we'll end with the impressive (and famous) large-format 19th century paintings in the nearby Denon wing. We'll focus on David, whose politically charged neo-classical works played a major role in the Revolution, following up with the Romantics Delacroix and Géricault. "While the Louvre can be a confusing and disorienting museum, our docent transformed the experience. Her passion for art history was evident from the moment we met. We learned a great deal about French art and how it impacted and intertwined with French history." If time allows, we may take a quick stroll through the Objets d'Art wing, which contains housewares and clothing that once belonged to Napoleon and Marie Antoinette, among others. These objects can add a fascinating anthropological dimension to the Louvre's painting collection by providing a tangible look at everyday life in that time. Regardless of time constraints we will end with a reflection on the progression of French art from the early Masters to the gems of the early 19th-century, and come away with an understanding of the connection between French art and the country's history. After opening a dialogue on French art, you may be interested in continuing the discussion with our Musée d'Orsay Tour, which explores French art of the late 19th- and early 20th centuries. This 2-hour private guided tour to the Orangerie Museum will intrigue you, for sure. An official skilled guided will introduce you to the culture and artists of the end of the XIX century: Modigliani, Renoir, Picasso, Soutine and many more, but we will also talk about the mystery of the Collection and the extraordinary life of Coco Chanel. The term "Orangerie" in English means "orange grove". The building that houses the museum we visit on this tour, in fact, was nothing but the orange grove of the Tuileries Gardens. Then transformed into a storage warehouse of the plants, he has abandoned its practical function to become "deposit" of pictorial representations of another garden, equally famous: that of Giverny, the garden of Claude Monet, 76 kms away from Paris, of which Monet has represented the changing rhythms in the cycle of Water Lilies exposed at Orangerie's. Our tour is dedicated to the collection of Paul Guillaume, the art dealer of Renoir, Cézanne, Modigliani, Picasso, Matisse. A collection of such a priceless value to arouse the greed of the evil Domenica, the wife of Guillaume ... a fake pregnancy, two murders, a third failure and a terrible court case wrap in mystery this art collection. Enjoy this 8-hour small-group guided tour of Giverny and see the house and gardens that once inspired Claude Monet. You will also visit the famous Marmottan Museum in Paris as well as taking part in an impressionist cooking class. After being picked up by your guide at your accommodation in Paris, travel to Giverny, where you will walk in the footsteps of Claude Monet and impressionism. Discover the secrets of one of the founders of Impressionism, Claude Monet. Leader of the artistic movement of the 19th century, he introduced perception, emotion, and light into the era's art and spent almost 40 years developing his Giverny property. Immerse yourself in the daily life of the artist as you explore his reading room, office, dining room, kitchen, and bedroom. After visiting the house, take a peek into the artist's workshop, where he painted the iconic 'Water Lilies', and stroll through the idyllic gardens, with its colorful flowers, lily pond, weeping willows, and Japanese cherry trees. Take part in a unique impressionist-inspired cooking class. For every season and with products of the market, instructors will help you make a menu inspired by Monet's cooking notebooks. You will then enjoy the gourmet meal as a lunch. Back in Paris,visit the Marmottan Museum and enjoy its magnificent collection of Monet's works. Your tour ends with drop-off at your accommodation in Paris. Discover Impressionist and Post-Impressionist masters during your 2-hour tour of the Orangerie Museum. View works by Claude Monet, Paul Cézanne, Henri Matisse, Pablo Picasso, Pierre-Auguste Renoir, Amedeo Modigliani, Le douanier Rousseau, Paul Gauguin, Alfred Sisley and Kees van Dongen on your shared tour of up to 7 people. Your visit includes skip the line access with a professional licensed guide to admire the unique exhibition with 8 of the great Water Lilies compositions by Monet. The Orangerie was originally built in 1852 by Firmin Bourgeouis, but completed by Ludovico Visconti. The museum is located in the heart of Paris, on the bank of the Seine and the Tuileries Gardens, with the Louvre on one side and the Place de la Concorde on the other. Musée de lOrangerie is very well known for its impressive collection of Claude Monets mural Water Lilies. The Water Lilies cycle occupied Monet for three decades. Monet donated the final great panels to the French state in 1922. 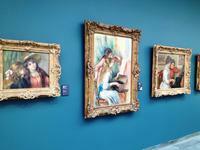 The museum also holds works by Cezanne, Renoir, Picasso, Matisse, Modigliani, and many more. The Orangerie Museum is definitely the home of impressionist and post-impressionist paintings, filled with an inspiring collection of masterpieces from many artists. For a brief, easily forgotten half-century, the Netherlands were the most powerful economic and naval power in Europe–and one of its most effervescent and productive artistic centers. From the beginning to the middle of the 1600s, the Netherlands thrived, creating an artistic legacy preserved in world-class institutions like the Louvre. Significantly, during the 17th century alone, it is estimated that roughly five million paintings were bought and sold in the Dutch Republic, among them works by some of the greatest names in art. Over the course of our 3-hour Louvre Dutch and Flemish Masters Tour led by an art historian, we will explore the Louvre's stunning examples of Dutch and Flemish art, highlighting their significance in art history's overall narrative. See paintings by the likes of Rembrandt and Vermeer. Louvre Dutch and Flemish Masters Tour led by an art historian. We'll begin our exploration of the Louvre's Dutch and Flemish collection by defining what we mean by the "Northern School." In the company of our docent, we will analyze the unique artistic phenomenon of the Dutch "Golden Age" by examining it in the much larger context of the Northern School, an idea that goes back as far as the 1400s. Here, we will explore the particularities of the Northern Renaissance and how new painting techniques, as well as social and religious circumstances, gave rise to an art full of detail, humor and pathos. Paying particular attention to the work of artists such as Jan van Eyck and Hieronymous Bosch, we will discover just what made this period dynamic. Moving on to works from the tumultuous 16th and 17th centuries, we will discuss how Rubens and his students reinvigorated Flemish art and how the Netherlands became an artistic laboratory for a new kind of art that used daily life and current events as their catalysts. In the 17th century, foreigners marveled at the sheer volume of work being produced in the Netherlands. Smaller sized works and the continued, though occasional, use of wood panels long after the rest of the continent had transitioned exclusively to stretched canvases set Dutch and Flemish artists apart. The Reformation, exploration of the New World, and life sciences were just some of the topics used for artistic fodder, bringing "low" subjects to high art. While artists like Frans Hals and Rembrandt reshaped portrait painting and van Ruisdael reinvented the landscape, other painters, such as Vermeer and Pieter de Hooch, used their works to comment on the morals (or lack thereof) of the new Dutch society. As our walk winds down, we will reflect upon the variety of work we have seen together. From appreciating masterpieces of the genre to discovering lesser known works, we will come away with a newfound understanding of what makes Golden Age Dutch and Flemish art quietly revolutionary. Those who wish to discover the Louvre further may also be interested in our Louvre Antiquities Tour, Louvre Italian Masters Tour, or Louvre French Masters Tour. Private 2.5 hours tour of the Louvre museum. Skip the long lines and immerge yourself in 4,000 years of History. Discover the secrets of Mona Lisa, Venus de Milo and Gallery of Appolo. Explore the world's greatest collection at your own pace. Enjoy and feel free to ask all questions to your Private Local Guide. Morning, afternoon or evening tour, choose what is best for you! Start your tour discovering the rich history of the Louvre palace, home of Kings of France for centuries and see how they have inscribed their name in the rock. Be ready to jump into the medieval moat hidden in the deepest level of the museum and learn about the Dungeon of the Louvre. Next, as we explore the Greek section, discover how beauty has lead artists to perfection for milleniums admiring at the Venus de Milo or the Winged Victory of Samothrace. Continue through the mesmerizing Gallery of Apollo designed to impress aristocrats from all over the world and inspiration to the famous Palace of Versailles. As you follow your guide avoiding the crowd, we will introduce you Leonardo da Vinci, his life, his technique, his secrets. Only then you will meet face to face with Mona Lisa and understand what makes it the most famous painting in the world! Most people simply take a picture and go; be ready to have a true encounter with a 500-year old masterpiece! Your professional local guide knows the Louvre like the back of his hand and will offer you different options to finish your private tour of the Louvre museum: wether you want to wander through Napoleon III apartments, gaze at French master paintings of the 1800's like Liberty Leading the People or the scandalous Raft of Medusa or even travel all the way to the Ancient Egypt of Ramses II. And the journey through art and history continues as your skip the line tickets give you access to the Louvre museum for the entire day! Hit two top Paris highlights in one afternoon on this 4.5-hour tour to Montmartre and the Louvre Museum. Explore the streets of Montmartre  once home to luminaries such as Monet and Picasso  with a professional guide. Hop aboard the funicular for panoramic views over Paris, and head inside the Basilique du Sacré-Coeur to explore at your leisure. Then, enjoy skip-the-line entry to the Louvre Museum, where youll discover ancient treasures such as the Mona Lisa and the Venus de Milo on a guided tour. On the afternoon of your tour, meet your guide in central Paris, and then hop aboard your luxury vehicle and travel to Montmartre. Home to the imposing Basilique du Sacré-Coeur and some of the finest city views in all of Paris, Montmartre is widely considered among the most charming corners of the French capital. Follow your guide on a walk around Montmartre and gain insight into its ancient history and heritage. The area dates back to the Gallo-Roman era and was, more recently, home to famous artists such as Salvador Dalí, van Gogh, Monet and Picasso. Board Montmartres funicular and take the short ride up the hillside to the top. Enjoy panoramic views out over Paris from your vantage point on the hilltop, then head inside the Basilique du Sacré-Coeur to explore at your leisure. Famous for its spectacular Romanesque and Byzantine architecture, the Sacré-Coeur is considered by many to be Paris most impressive landmark. Continue on by coach to the Louvre Museum and enjoy skip-the-line access to beat the queues and head straight inside. Follow your guide through the hallways and galleries and discover treasures such as da Vinci's Mona Lisa and the famous Venus de Milo. Marvel at masterpieces such as Delacroix's Liberty Leading the People and Géricault's The Raft of the Medusa, and gain insight into their place in art history. At the conclusion of your guided Louvre Museum tour, choose to stay longer and explore further at your leisure. Or, hop back into your luxury vehicle for the journey back to the Pyramides métro stop, where your tour will come to an end. Please note: On Wednesdays and Fridays, there are extended opening hours at the Louvre Museum. On these days, it is possible to stay until 9:45pm at no extra charge. Enjoy a day out in Paris and visit the must-see destinations from the Village of Montmartre with the Iconic Sacré-Coeur to the main places in the City: Bastille, Jardins du Luxembourg, Opera Garnier and many more... Discover the Impressive Notre Dame Cathedral... This is an all-day Guided Tour including entrance to the largest Museum : Le Louvre. Departure by coach and River Shuttle the whole day. Enjoy a day out to visit Paris and its must-see places such as the Latin Quarter, Notre Dame Cathedral, Montmartre and the Louvre Museum.
. You will then head off to the Ile de la Cite with a Guided visit of the Impressive Cathedral: Notre Dame: a Gothic Architecture Monument .The guide will then take you to the banks of the Seine to board the River Shuttle for a return back to the centrally located agency. Lunch at your leisure nearby our central located agency then meet up at 1.30pm for the afternoon portion to the village of Montmartre followed by the largest Museum: Le Louvre. And the Sacré-Coeur Basilica nearby. The whipped-cream look of the Basilica is mainly due to its stone which came from the Château-Landon quarries. In wet weather, the calcite contained in the stone acts like a bleacher to give the church a definite chalky white appearance. You will return back to the city centre to experience a Guided Visit at once, Symbol of French Monarchy, and now the largest National Museum! You will learn about the 3 main artworks : The Venus of Milo: Aphrodite Goddess, The Winged Victory of Samothrace and Mona Lisa: Da Vinci Notorious Artwork!! End of the excursion a round 6.15pm. The Louvre Museum, former Residence of the Kings of France is the place to discover while in Paris. Skip the lines and enjoy the day at your own pace at the Louvre, one of the greatest museums in the world. Its impressive collection of masterpieces such as La Venus de Milo, Mona Lisa, the Winged History of Samothrace , Le Radeau de la Meduse will be sure to impress. The museum opens at 9 a.m. and you will have the day to enjoy the masterpieces. The museum is expansive, so plan your trip in advance to optimize your day. 1st floor houses a collection of decorative arts, with objects such as clocks, furniture, china, and tapestries. 2nd floor includes paintings from the Middle Ages up to the 19th century from across Europe and many works from master painters such as Rubens and Rembrandt. This is the oldest part of the museum and holds a collection of French paintings, drawings and prints. In addition, the sumptuously decorated Napoleon III Apartments will give you an idea of what the Louvre interior looked like when it housed the kings of France. This is where you will see La Gioconda, and many more Da Vincis, such as the lovely La Belle Ferronniere, or Portrait of an Unknown Woman. Also admire beautiful Botticelli frescoes, and other fine Italian and Spanish paintings. Bring your camera with you, and enjoy the day! Join a family tour specialist on a historical exploration of the worlds most famous museum with skip the line access in a private tour adapted to the whole family. As well as meeting the Louvres most famous residents including Mona Lisa, Venus de Milo and the Winged Victory of Samothrace, your private guide will tailor the tour to your familys interests. Designed as an adventure for all ages, the experience will focus on observing and learning about the magic of a former royal residence, and bringing to life its Masterpieces through enchanting anecdotes and stories. Activity sheets for children are included as the perfect souvenir of their visit! Your Louvre exploration begins centuries ago in the Medieval foundations of the Louvre; a military fortress turned royal palace, way before the much adored glass pyramids and before it became the most visited museum in the world. With illustrated activity booklets and your private art history specialist, your family will uncover the must-see works of Le Louvre from the Great Sphynx of Tanis and the Venus de Milo to the Winged Victory of Samothrace and the Coronation of Napoleon. Would be princes and princesses will have the chance to explore the former quarters of the Kings & Queens of France and even to create their very own version of the much-adored Mona Lisa. From Caravaggio to Da Vinci, the whole family will be learning and exploring together. For the final part of the tour, the choice is yours  Egyptian artefacts? The ornate quarters of Napoleon III? A close up of the Royal jewels? The final stage of your tour will be adapted to your familys requests and by the time your guide bids your farewell, everyone will have met the Great Masters of the Louvre! Enjoy a private guided tour of one most beautiful museum in the world: the Louvre. Your private licensed guide will pick you up at your hotel and take you to visit and experience the Louvre.The former palace of the kings of France in Paris that became a museum during the French revolution in 1792, is dedicated to art from the Ancient world and the West until the mid-19th century, with more than 35 000 works on display, it is one of the most beautiful, complete and largest museum in the world. You will discover its famous masterpieces, "highlights" of the museum: the Mona Lisa, the Venus de Milo, the Victory of Samothrace…and other lesser known works from different sections of the museum and learn how to look at a work of art. Once a formidable medieval fortress, the Musée du Louvre is now home to an impressive collection of art and artifacts—including a notable selection of well-preserved antiquities. Through exploring this rich array of ancient objects, we can enrich our understanding of western civilization's artistic and cultural foundations. On this art historian-led Louvre Antiquities tour, we will delve into the depths of the museum's remarkable collection, following the development of ancient art and culture from Egypt, Mesopotamia, Greece, and Rome. By gaining knowledge of this important period, we will sett the stage for independent exploration of art of the thousands of years that followed. Explore the Louvre's extensive collection of Egyptian, Greek, and Roman antiquities. Louvre Antiquities tour led by a credentialed art historian. Beginning with the immense Near Eastern Antiquities department, we'll explore the ancient artworks of these countries, some of which date to nearly 10,000 years ago. We'll see examples of ancient writing—the earliest existing art form—while discussing the incredible role of the birth of spoken and written language in the development of early civilization. Moving forward in time, we'll make our way to the Egyptian Antiquities. Here we will view objects of the many civilizations that settled along the Nile from Prehistoric times (roughly 4,000 years ago) to the Christian era (4th century B.C.). Stopping by masterworks like the kneeling Nakhthorheb, head of Priests, and the statuette of the lion-headed goddess Sekhmet, we will discuss their significance. Together, we will consider the role of religion in Ancient Egypt, delving into the daily life and culture of the time. Next we will transition to the Mediterranean, where we will encounter the art of Etruria, Greece, and Rome. As we move between each Antiquities department, we'll attempt to see each civilization's role in the continuous evolution of Western art. For example, we'll consider how Egyptian art left its mark on Etruscan works and, in turn, how the artistic techniques and sensibilities of Etruria influenced the art of the Romans. Once we reach the Greeks and Romans (whose works date from the 4th century B.C. to the 6th century A.D.), we'll come across well-known masterpieces like the Venus de Milo and the Nike of Samothrace. As we contemplate the familiar beauty of these pieces, we'll begin to discuss the crucial role of Ancient art in the development of the Western art of our own era, most notably in the works of the 15th-century Italian Renaissance. "Our docent was fantastic. She knew the answers to every question we had and was able to discuss all of the antiquities in great detail. We felt like we have a better understanding of the Louvre and the antiquities. It all worked." As our time together comes to a close, we'll end our itinerary with a discussion of the artistic transition from Near Eastern objects to Grecian and Roman sculpture. We will come away with an understanding of the civilizations which produced these varying items, as well as their place within them, contributing to our overall appreciation of antiquities. After opening a dialogue on the foundational nature of antiquities in the evolution of Western art, we may be interested in continuing the discussion with our Louvre French Masters Tour, Louvre Dutch and Flemish Masters Tour, or Louvre Italian Masters Tour. Note: We pre-purchase Louvre tickets for any visitors over 18, which allow you to skip the long ticket lines at the museum. These will be added to your cart when you check out, unless you remove them when booking. Your docent will have these with him/her on the day of the walk. Please let us know if anyone in your party has a Paris Museum Pass and we will adjust your order accordingly. If you notify us after we've charged your order that you're purchasing Museum Passes and won't need us to supply tickets, we will only be able to refund you 85% of the ticket price. Your tour guide will meet you at the lobby of your hotel or in front of the apartment you will be renting. We only give private guided tours. As one of the most visited sites in the world, and certainly in Paris, the Louvre's fascinating history remains lesser known. While this structure now displays some of the world's most renowned paintings and sculptures, an examination of its architectural history yields, in small scale, the story of Paris—from medieval fortress to luxurious palace, refashioned to reflect the tastes of the ruling powers, and eventually transformed into a world-class museum. On this 2-hour Louvre architecture tour in the company of an art or architectural historian, we will unearth these overlooked details, fleshing out the story behind one of the world's most famous art museums. Learn about the Louvre's extensive history and its architectural evolution. Led by an art or architectural historian. Beginning in the central outdoor Cour Carré and Cour Napoléon, we'll discuss the Louvre's tumultuous history, from outpost to fortress, then royal residence to treasure house and museum. We'll examine the exterior of the museum, considering the various building campaigns that produced it, and the monarchs who have left their mark on its walls. Referencing some of its buildings that no longer exist (the Tuileries Palace, for example), we'll see how details in its architectural styles—the restrained imperial classicism of the East facade versus the renaissance reliefs on Lescot's pavilion in the Cour Carré, for instance—speak to the Louvre's role as a focus of Parisian urban planning from King Francois Ier through President Francois Mitterand. "Our docent was prompt, organized, and extremely knowledgeable. Her enthusiasm for the subject was evident and helped bring the history to life. The small group size definitely contributed to our very positive experience. Thank you for one of our most memorable and enjoyable experiences in Paris." From there, we'll proceed to the interior of the museum to see the Sully wing's extensive display on the history of the Louvre. Here, we'll begin to discuss the museum's various collections in broader terms with reference to moments in French history. For example, as we move downstairs to view the foundation for Philippe Auguste's tower, which was excavated during the construction of I.M. Pei's glass pyramid (one of the Grands Projets of the era, covered in greater detail on our Paris Contemporary Architecture Tour), we'll consider Pei's controversial structure as an evocation of the Egyptian spoils that Napoleon had brought back from his Middle Eastern campaigns. Viewing the Louvre from an architectural perspective, rather than simply as a warehouse for one of the world's most enviable collection of masterworks, brings the full spectrum of the building's roles to the forefront. As our walk comes to a close, we will depart with a better understanding of this unique structure and its position in French society over the centuries. After opening a dialogue on the building's history, you may be interested in continuing to explore the interior with our Crash Course Louvre Tour. For clients seeking more specificity, we also offer a Louvre Antiquities Tour, Louvre Dutch and Flemish Masters Tour, Louvre Italian Masters Tour, and Louvre French Masters Tour. Skip lines often in excess of two hours and head straight inside the Louvre for a look at its fascinating collection. Your skip-the-line 3-hour tour offers time to appreciate some of the museum's most iconic paintings, sculptures, and architecture. Join your guide on a journey from one breathtaking gallery to the next, jumping through history while admiring works dating from nearly 450 BCE through the 19th-century. Small group sizes of no more than 6 people also mean that your expert, English-speaking guide can adapt tours to suit each individual group. Enjoy skip-the-line entry to the world's largest museum, where you'll meet up with your art historian guide and small group for a 3-hour tour of the Louvre's most significant works (and a few hidden gems). Begin with the medieval foundations of this ancient royal residence, and then gaze at the graceful Venus de Milo. From here you'll have a chance to admire one of the Louvres most celebrated sculptures, Winged Victory of Samothrace. Continue on to the Apollo Gallery, which houses the ornate royal crowns of Napoleon and King Louis XV, and be riveted by the valiant tales of these inimitable leaders. Stand in awe as you enter each new wing and gaze upon some of the worlds most monumental masterpieces. Marvel at love set in stone in Canovas Psyche and Cupid and see Delacroixs famous painting depicting the French struggle for freedom, Liberty Leading the People. Michelangelo's work awaits you in the Italian sculpture hall, and you will discover firsthand what makes Leonardo da Vincis Mona Lisa the most enigmatic portrait of all time. The Louvre Museum is a must see for any visitor to Paris. Yet the 9 miles of corridors and over 35,000 artworks can be a challenge for even the most seasoned travelers. Join this 2.5 hour guided tour, and let an expert local guide lead you through the crowds to the most important works in this incredible museum. Skip the line access, small groups and electronic headsets ensure that you wont miss a thing. Meet your guide in the front of the Arc de Triomphe du Carrousel about 10 minutes before your tour starts on the day of your 2.5-hour tour. Prepare to be amazed by one of the most visited museums in the world. Home to some of the worlds greatest works of art, theres a reason that millions of visitors flock to the Louvre every year. Let an expert and fully accredited local guide share their passion and knowledge of this awe-inspiring museum and the masterpieces it contains, as they whisk you past the lines and straight to where you need to be. You will of course see one of the worlds most famous paintings, the Mona Lisa. Discover also the beautiful Venus de Milo, the Winged Victory of Samothrace, the great French neo-classical paintings, and the masterpieces of the Italian Renaissance. But there are also many hidden treasures to be found in the Louvre. Your guide will show you crowns studded with precious jewels, ancient Egyptian antiquities, and sublime Greek statues. End your visit in the lavish apartments of Napoleon III, often overlooked by visitors and yet one of the best parts of the museum. Take a 2.5 hour small group tour of the Louvre and let your expert guide lead you to the most important and iconic artworks in the worlds largest museum. See the Mona Lisa, the Venus de Milo, the Winged Victory of Samothrace and much more. Groups of 6 people or fewer allow for an intimate and relaxed visit, ensuring you dont miss any of the dazzling treasures housed in this incredible museum. The Louvre is a must-see museum, housing some of the worlds greatest masterpieces. But dont waste your precious vacation time standing in the long lines that form here every day, only to get lost in the endless corridors and over 400 rooms of this huge building. The Louvre can seem overwhelming to visitors, but visit with a passionate, fully accredited guide and it will become one of the highlights of your visit to Paris. The Louvre was once a Royal palace; it has over 9 miles of corridors! Your guide however, knows every corner of this awe-inspiring building, and will show you not only some of the most famous artworks in the world, but also other hidden gems that could so easily be missed. Discover royal crowns set with glittering diamonds, 4000 year old Egyptian antiquities, mysterious statues sculpted by Michelangelo, breathtaking paintings such as Liberty leading the people and the Coronation of Napoleon, and the lavishly decorated and furnished apartments of Napoleon III. Learn also about the glorious past of the Louvre and the kings and queens who lived there. From the medieval foundations of the first Louvre palace to the magnificent Apollo Gallery built for Louis XIV, the Sun King, your tour will take you in the footsteps of history. And of course the most famous painting in the world  Leonardo da Vincis Mona Lisa - awaits you. But dont just see her like everyone else; let your guide tell you all her secrets! After your tour ends you are free to stay as long as you like in the museum and explore further if you wish. Join in a comprehensive yet relaxing visit to one of the worlds greatest museums. Start your day in style by enjoying a typical French breakfast in a spectacular café overlooking the pyramid of the Louvre. Then skip the long lines and embark on a journey through the worlds largest museum in the company of an expert and fully accredited local guide, who will lead you through the corridors and share their passion and knowledge of this awe-inspiring museum and the masterpieces it contains. Prepare to be amazed by the most visited museum in the world. Home to some of the worlds greatest works of art, theres a reason that millions of visitors flock to the Louvre every year. Yet a visit to this great museum can often be a challenge; long lines and innumerable rooms can result in you wasting your precious vacation time and missing the main attractions. Join one of our guided tours, and let an expert and fully accredited local guide take all the stress out of your visit, as they lead you through the corridors and share their passion and knowledge of this awe-inspiring museum and the masterpieces it contains. But before your visit, begin your day in a relaxed and typically French way  enjoying breakfast on a café terrace. And this is no ordinary terrace, this magnificent and chic café sits directly inside the Cour Napoleon of the Louvre, offering you sublime views over the Iconic glass pyramid as the museum opens for the day. Savor typical French viennoiseries with fresh fruit salad, freshly squeezed orange juice with coffee or tea. Relax and enjoy the food and the views, before your local guide leads you past the famously long lines and directly into the museum for a 2.5 hour guided visit. You will of course meet the worlds most famous painting, the Mona Lisa, and learn some of her many secrets. Discover also the beautiful Venus de Milo, the spectacular Winged Victory, the great French neo-classical paintings and the works of the Italian Renaissance. But there are also many hidden treasures to be found in the Louvre. Your guide will show you crowns studded with precious jewels, ancient Egyptian antiquities, sublime Greek statues and much more. The Louvre was once a palace, home to the French royal family, and you will visit magnificent rooms whose sumptuous decorations bear witness to this  rooms built for Kings! End your visit in the lavish apartments of Napoleon III, often overlooked by visitors and yet one of the most breathtaking parts of the museum. Make the most of this extraordinary museum, join our tour and let our guides make your visit one of the highlights of your trip to Paris. Make the most of your visit to the City of Light and check off the top items on your must-see list of Paris on this full-day, guided waking tour. Climb the stairs of the The Eiffel Tower, learn the secret scandals inside the world famous Louvre Museum, and explore the original city of Paris, Ile de la Cite, home to the Notre Dame Cathedral. Enjoy a stroll along the beautiful River Seine. This small-group tour is limited to a maximum of 15 people. Your tour will begin at the Eiffel Tower where your guide will meet you, secure your tickets and lead you up the stairs for a unique visit to this amazing landmark. During the first leg of your climb you will learn about Gustave Eiffel: The Young Engineer, The Entrepreneur, The Great Builder, and Life After The Tower. Once you reach the first level you will take a walk around its perimeter and view landmarks while you continue to learn about the lights, the construction, the paint and some of the towers legendary antics. Following a break, you will continue on to the second level as the scenery expands all around you. From here your guide will give you a tour of Paris from the sky, along with a brief lesson in the proud history of the city. Then, you will return to street level over the river and to the Trocadero for an iconic view of the Eiffel Tower. Next, you will head underground and ride the famous Paris metro, where your guide will teach you how to navigate the metro system. Your next stop will be Paris' most exciting square, in front of the Renaissance masterpiece, the Hotel de Ville. As you stroll along the street, there will be many sidewalk cafes and restaurants for you to have your lunch at (at own expense). After lunch, you will rejoin at the island of Ile de la Cite, the original city of Paris and home to the Gothic classic Notre Dame de Paris. Your stroll on this island will take you past the ornate gates of the Palace of Justice, the Concierge where Marie Antoinette was imprisoned after the Revolution and the Saint-Chapelle church. Before you leave the island you will head towards the oldest bridge in Paris: the Pont Neuf and see the new location for the famous Locks of Love. Your last stop will be at the magnificent Louvre Museum. You'll enter through the Royal Courtyard and and walk past the world-famous Louvre Pyramid to meet your expert art historian for your Louvre Scandals and Controversies Tour. This is a unique and streamlined way to experience some of the world's most famous works of art. Your tour will end at the Mona Lisa, where you'll be free to spend as much time as you want in the museum. Immerse yourself in World War I history with a day trip from Paris north to Frances Picardy region. Visit Aisne and Marne, two major parts of the western front where some of the deadliest American battles occurred. See trenches and other traces of battle as you explore Belleau Wood, and pay your respects at the Aisne-Marne American Cemetery. Head to nearby Meaux to visit the Museum of the Great War, a moving testament to the scope and tragedy of WWI. Youll be picked-up by your guide at your central Paris Hotel in the morning and get taken on a 1.5-hour drive north to Belleau, a village in Frances Picardy area that, together with Marne, made up one of the major (and now most famous) parts of the western front during World War I. Many important battles took place in this region, including the First Battle of the Marne and the Second Battle of the Marne, which developed into a significant Allied victory. Start with a visit to the 42-acre (17-hectare) Aisne-Marne American Cemetery to pay tribute to the American troops who fought in the Aisne and Marne area. Wander around the cemetery and visit the Memorial Chapel  built on top of front-line battle trenches, here you can see the names of 1,060 missing American soldiers. Continue up the hill to Belleau Wood (Bois Belleau), where one of the deadliest battles for the US Marines took place in 1918. This important battlefield is where American soldiers fought valiantly to stop German soldiers from reaching Paris. Take time to walk through the woods to see the traces of the battle, like the trenches, shell holes and ruined buildings that resulted from the heavy fighting. Your next stop is the Cote 204 Monument at Château-Thierry, which represents the friendship between France and the US and commemorates the achievements of US forces in this region during WWI. This monument stands high above the beautiful Marne Valley and Champagne vineyards, offering beautiful views for you to enjoy. Take a break for lunch on your own before continuing to Meaux to learn more about WWI history. Your guide will take you to the Museum of the Great War to show you fascinating remnants from the war. See 50,000 war-related objects from many of the countries involved in WWI, giving you a deeper understanding of the worldwide dimensions of the conflict. After your time in the Museum of the Great War, board your private (minibus or car) for a calm, reflective ride back to Paris, arriving at your hotel around 5:30pm. Get taken on a guided tour of the Louvre Museum to admire its main 3 works: the Venus de Milo, the Winged Victory of Samothrace and the Mona Lisa, painted by Leonardo da Vinci at the begining of the 16th century. You will then be free to spend more time in the Louvre to visit other sections of the largest museum in the world. Meet your expert guide for a Skip-the-Line guided tour and visit one of the worlds most popular museums. As one of the largest museums in the world, it has over 35,000 objects on display from prehistory to the 19th century, spread across more than 650,000 square feet of gallery space. On 10th August 1793, the Louvre Museum opened its doors to the public for the first time. From a medieval fortress, Renaissance palace and luxurious home to Kings and Emperors, the Louvre has been a symbol of the wealth, power and decadence of the French monarchy for over 600 years. Your guide will lead you through the galleries of this extraordinary French institution and explain the changing face of the Louvre through its architecture and design . You will marvel at the iconic glass pyramid and admire some of the Louvre greatest masterpieces from artists such as David, Géricault, Delacroix and Leonardo da Vinci himself. You will see the most famous artworks: the Venus de Milo, the Winged Victory of Samothrace and the Mona Lisa, painted by Da Vinci at the beginning of the 16th century. At the end of this small group tour, you will have the possibility to spend more time in the Louvre to visit other sections of the museum independently. Discover the Louvre art collections without boring your children... is the bet this Family treasure hunt at the Louvre museum makes. You think your children could grow tired of the visit? No way! A personal activity booklet will keep them hooked throughout this 2-hour museum tour. - No waiting in line to get into the Louvre, thanks to our skip-the-line tickets. - Kids will have fun solving a mystery at the famous Louvre Palace! - With our activity booklets your children will be hooked on art! Forget it! Your guide will lead you directly to the must-see works of art. From the Louvres medieval vestiges to Egyptian and Greek Antiquities, the whole family steps back in the past, invited to answer questions and riddles. The Venus of Milo and the Winged Victory of Samothrace soon wont have secrets anymore in your youngsters minds. Browsing their activity booklet, theyre encouraged to carefully look at famous paintings to deepen their understanding of art's purpose and meaning: Why does the Mona Lisa smile? What is the mystery hidden in Napoleons coronation? Questions and explanations are conceived to fit your childrens age levels (3-6 years or 7-12 years). A treasure hunt involves awards. Hence, every answer about a masterpiece rewards your children with one, alike with a next clue to advance further in their exploration. Feeling like young detectives, your kids are the actors of their visit and discover how easy it is to have fun with Art. Never again will they tell you that museums are boring! This 4-hour tour allows you to discover the main attractions and secrets of central Paris from the Centre Pompidou to the Pantheon, as well as the opportunity to enjoy a 90 minutes guided visit of the Louvre museum in the company of a professional guide. This intimate small group tour allows you to access the wonders of the Louvre without waiting in line with our Skip the Line pass. This combined tour offers the best of both worlds, the chance to visit and learn about the history of iconic landmarks in Paris and also discover the masterpieces of the prestigious Louvre museum all in one. This exclusive tour is designed for a maximum of 6 people, for an intimate and enriching experience accompanied by a knowledgeable, professional guide. Not only will your guide share with you the stories and secrets of renowned attractions of Paris like the Tuileries Garden, Palais Royal, Ile de la Cité, and Pont des Arts bridge, they will also guide you through the illustrious Louvre museum and explain the history behind famous artworks like Venus de Milo, the Mona Lisa, and Liberty Leading the People. You wont have to worry about lines with our special Skip-the-Line pass that allows your group direct entry into the museum. After enjoying these artistic treasures, youll take a ride over to the Left Bank where more anecdotes await you at the Pantheon, the Luxembourg Garden and Saint Germain des Pres. A unique opportunity for lovers of Paris, its art and history, you will finish the tour with a better understanding and appreciation of the City of Lights. Explore the Louvre on a one hour and a half guided tour that will take you to see all the masterpieces of this famous museum. Your fun and informative guide will tell you some interesting details about the art pieces found in the Louvre and a little of the history of the building itself. 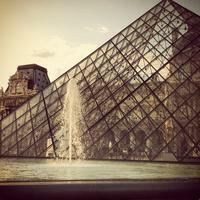 Your tour will start at the Louvre Museum where you will meet your guide. He will give you your tickets and take you trough the security check while introducing you to the achitecture of the palace of the Louvre. When inside, the guide will lead you inside many of the museum's room and stop to show you the most important and beautiful art pieces. He will tell you some interesting and entertaining facts about the Louvre masterpieces and make sure you don't get lost in the second biggest museum in the world ! Skip the ticket lines at the ever-popular Louvre Museum in Paris, and discover its highlights on a 2-hour tour with a guide, who focuses on the major works of art. See sculptures such as 'Venus de Milo' and the 'Winged Victory of Samothrace,' plus, of course, the most famous painting in all the world, 'Mona Lisa.' As you tour the museum, you'll hear stories about the art and artists, and then you can continue to explore on your own once the guided tour ends. Select a morning , afternoon or evening tour time when booking. Tour is limited to six people for a small-group experience. Enjoy fast-track entry to Paris' most visited museum, Musée du Louvre, so you can go straight inside with your guide to see some of the most important pieces in the museums vast collection. The Louvre opened to the public in 1793, having already been in use to display the royal collections since 1682. Now it's home to roughly 35,000 pieces of art, which is quite overwhelming, but you don't have to worry about finding your way around, as your guide shows you a selection of the best works, including Leonardo da Vincis legendary Mona Lisa and the statues Venus de Milo (120 BC) and Nike of Samothrace (190 BC). You will also discover other Italian paintings, as well as French paintings such as The Coronation of Napoleon by Jacques-Louis David. According to your interests, your tour can be tailored to include pieces such as Dying Slave by Michelangelo, or perhaps see the Apollo Gallery (Galerie d'Apollon), home to the original crown of King Louis XV. When your guided tour ends, you can stay at the Louvre to explore more on your own. The Louvre Museum, once an immense medieval fortress and royal palace, now houses the most-visited collection of artworks in the world. On this Louvre tour we'll join an art historian from a local university to dive into this vast collection, carefully selecting key works—a mixture of masterpieces and unknown treasures—to craft a narrative of kings, emperors, and the accomplished artists who served them. One of our most popular tours in Paris, our Crash Course Louvre tour is appropriate for first-timers and art history devotees alike. Crash course Louvre tour led by an art historian or museum curator. Small group of no more than six people. Meeting near the museum, we'll begin with a brief introduction to the building's history in the Cour Napoleon, learning about its transformation from medieval fortress to magnificent royal palace over the course of five centuries. Entering the museum, we often begin with the Classical Antiquities section. Famous for its stunning collection of Egyptian artifacts, we may see the lion-headed goddess Sekhmet, as well as many items illustrating religion and every day life in Egypt from the farmers to the Pharaohs. We'll continue our appreciation of the Louvre's classical collection with its awe-inspiring Greek and Roman sculptures, including the iconic Venus de Milo and Nike of Samothrace. Depending on the interests of the group, we will then move on to what, for many, is the heart of the Louvre: the Denon Wing's grand galleries of Italian painting. Here, we will encounter some of the greatest works of art in the western world, including masterpieces by Leonardo da Vinci, Michelangelo, and Veronese—and, of course, the Mona Lisa. Our docent will curate our visit, selecting a mixture of famous and lesser-known works, crafting a narrative around our interests and questions. For example, we may trace the evolution of perspective from the late medieval to the Baroque period, or discuss issues of power and politics as expressed by court painters. Equally important to the Louvre's collections are the French Master paintings, which occupy the adjoining series of rooms. Through the eyes of our docent, we will learn about the late 18th and early 19th century rival art movements of Neoclassicism, led by Jacques-Louis David, and Romanticism, spearheaded by Théodore Gericault and Eugène Delacroix. Noting their differences, we form an understanding of their role in the evolution of art. These large format paintings bring our visit full circle to the final periods of the museum's collection. Traveling to Paris with children? You may enjoy our Louvre for Kids Tour. Your one-hour introduction to Paris, to make sure you don't miss the musts during your visit to Paris! The Paris Story film is a loving tribute to Frances beautiful capital city. This is a private tour of the City of Lights that has no equal in its imagery and the accompanying music. You will find yourself transported through the centuries of history that have created the amazing city that we love so much today. From its founding by the Celtic Parisii tribe to contemporary Paris and the ultra-modern architecture of the Louis Vuitton Foundation, you will experience it all. Forget the many documentaries that simply list the main attractions of Paris and leave it that. Here you experience the very soul of the city, the secrets of its monuments and their place in the hearts of Parisians. Jean Renos voice will transport you to a unique viewing of Paris, past and present. Theres a multilingual audio selection such as those on leading airlines, which allow you to choose between six languages. Thanks to this technology, Paris Story: The Movie is available to you in English, German, Spanish, Italian, Dutch and Chinese. This film is intended for visitors from anywhere in the world, as an inspiring introduction to the City of Light and a personal invitation to discover its most famous attractions and monuments. Families will find inspirations for weekend outings. Schools will find they have the perfect educational tool at their disposal, too, a way for children to learn without seeming to. Parisians themselves will find Paris Story reveals the hidden stories of buildings and monuments they see every day without knowing their history or their secrets. Paris Story allows every viewer to understand in their hearts why Paris is considered the most beautiful city in the world." After redeeming your voucher from the central located agency located nearby the Louvre Museum, you will get the Orangerie Entrance ticket. The Museum is few minutes away at the Tuileries Gardens (nearby Concorde) where you could explore it at your own pace and discover two impressive collections: les Nymphéas (Water Lilies) by Claude Monet and the modern Classicism and Impressionism by Walter Guillaume. A peaceful Sanctuary for Arts'lovers, guaranteed to skip the lines. Water Lilies ( Les Nymphéas) by Claude Monet, beloved around the world. It is the ultimate expression of the artist! It refers to a series by the father of French Impressionism. An amazing project that explores all variations of light in his garden at Giverny. Each painting reflecting changes in lighting and weather conditions, are housed in two elliptical rooms: "One instant, one aspect of nature contains it all." Monet dedicated much of the last 30 years of his life to painting them. The Walter-Guillaume Collection, the intellectual project of art dealer Paul Guillaume and his wife Domenica, is a unique collection illustrating the creative work of the first decades of the 20th century. The collection itself is made up of 146 works of art and is exhibited on the lower level of the museum with each artists works being grouped together.Ideal choice for those who want a flavour of art from 1860s to 1930s' period and can come away without a sense of being overwhelmed. Enter directly into the Centre Pompidou with your mobile ticket. Bypass the long entry lines and enjoy access to all sections of the Pompidou Center, including the rooftop where you get sweeping views over Paris. Inaugurated in 1977 and named for the President of France Georges Pompidou, the Centre Pompidou is one of Europe's largest contemporary and modern art museums. The museum collection holds more than 100,000 artworks by more than 6,500 artists. It also contains a huge library and research center, and includes contemporary creations such as plastic arts, books, music and cinema. Several galleries offer exhibitions geared for kids and teens, making it a great destination for the entire family. Located next to the Seine River in Beaubourg, the 4th arrondissement, the Centre Pompidou is close to other major attractions including Notre-Dame, City Hall and Place des Vosges. In the large plaza and pedestrian streets outside the museum, you can often find a vibrant street scene with a variety of musicians, jugglers and other street performers, along with large public artworks and sculpture. Home to Europe's largest collection of 20th-century art, Centre Pompidou is one of the most-visited museums in the world. On our 2-hour Pompidou Center tour, our docent will peel back the layers of this contemporary pilgrimage site. Illuminating the message behind its unique architectural design, the Parisian avant-garde, and the countless 20th-century masterpieces that make up the museum's permanent collection, we will clarify the dialogue between the art and the cultural events that contributed to its evolution. Perfect for both the art history aficionado and the novice alike, our walk will bring the Centre Pompidou and its stunning highlights to life. Highlights the permanent collection of the Centre Pompidou—discover modern works by Picasso, Braque, Matisse, and more. Pompidou Center tour led by an art historian or artist. We will start at the Place Georges Pompidou, with a brief discussion of the notorious building. Architects Renzo Piano and Richard Rogers turned the typical design of a museum structure on its head. The museum's guts—the elevators, water ducts, air pipes—are made visible, as if the structure had been turned inside-out. These functional aspects can be seen clearly from the exterior of the building and identified by their bold, color-coded paint: blue for air, green for water, red for elevators, yellow for electricity, gray for corridors, and white for the building itself. This immense complex houses not only Paris' impressive collection of 20th-century art, but also a free public library, bookstore, cinema, and a modern, gourmet restaurant with a panoramic view from the building's 6th floor. Entering the museum, we will ride one of the exterior escalators to the permanent collection, housed in the building's top two floors. Here, we will begin by exploring the cubist canvases of Pablo Picasso and Georges Braque. Their distinct style ignited curiosity, and subsequently launched the wave of avant-garde movements of the 20th century. We will also consider the oeuvres by Fernand Léger, Henri Matisse, and Piet Mondrian, all of whom reacted to and developed from the Cubist movement. Moving on from Cubism, we will look at Francis Picabia. As the primary example of the Parisian strain of the international Dada movement, we'll see how this work transitioned into Surrealism, which is amply represented throughout Centre Pompidou's collection. Finally, we will return to Picasso, who was a fellow follower of the Surrealists in the 1930s, to see how his point of view evolved over time. "Our docent expertly wove together the historical influences of the various movements in a memorable manner. She didn’t just explain the art, but made it come to life!" We will conclude with a brief examination of some postwar trends and a look at some of the more recent works. Offering us the opportunity to question the avant-garde's contemporary legacy, these contemporary pieces will highlight the importance of Modernism—examined from a different perspective on our Modernist Paris Architecture Tour—in context. Together, we'll come away with an understanding of the evolution of 20th-century art and some of the factors contributing to these movements' intrinsic artistic value. Paris' Musée du Louvre contains thousands of works of art, telling endlessly intriguing stories and inspiring the imaginations of young visitors the world over. What is Hercules chasing? What do tombs tell us about Egypt's pharaohs? What were the symbols of Louis XIV and Napoleon? This private 2.5-hour Louvre for kids tour, led by a specially trained family-friendly art historian, provides an interactive learning experience for families—or, if you prefer, an artistic adventure. Illustrates the highlights of the Louvre's vast collections. Louvre for kids tour led by a scholar trained to work with children. We’ll begin at the beginning—the building itself. Revealing a narrative from its origins as a fortress to its role as palace of the French Kings and Queens, we learn the Louvre's position in French history and the stories surrounding the building. We will have to look carefully for secrets, like those in the palace’s old moat. Then, we might journey off to ancient Egypt to investigate the pharaonic legends told through their hieroglyphs. We’ll certainly venture to ancient Greece, perhaps first through the elusive Winged Victory of Samothrace or the famous Venus de Milo, asking questions like, "Why doesn’t she have arms?" "What else can we learn from her pose?" We will also see how the Renaissance French royals repurposed greek symbolism for their own identity. Traveling through the painting wings, we might see the curious smile of the heroine Mona Lisa or debate who is more heroic: Napoleon or the brothers in the Oath of the Horatii. Exploring French and Italian painting, we may bring Romanticism and Neoclassicism into context. At each stop, our docent, trained in visual thinking strategies, will engage the young adventurers with inquisitive questions and activities to bring the art work to life. While our walk is focused on the children in the group, we encourage parents to ask questions, and immerse themselves in their child's learning process. "We LOVED this tour. My kids went in unexcited about the visit, but [our docent] had them hooked in minutes. They liked how he told them the backstory on what we were seeing and gave us a bigger perspective on the art and building. Even though he focused on the kids, we adults were intrigued and learned a lot too!" By the end of the walk, your family will not only have discovered numerous fascinating characters and stories behind the masterworks in the Louvre's extensive collection, but also have acquired a grasp of the evolution of art history. By tailoring this private walk to your children, we hope to change the way they will experience museums, encouraging curiosity and abstract thinking. In addition to our family program tours, including offerings like our Notre Dame for Kids Tour and Versailles for Kids Tourwe may be able to adapt certain other tours to the needs of families, though please note such adaptations would not incorporate special activities. Please contact us for more details.